LOS ANGELES, Feb. 12, 2019 (GLOBE NEWSWIRE) -- Blaze Fast Fire’d Pizza, the recognized world leader in fast artisanal pizza, is giving fans in Guelph a reason to celebrate. This Thursday, February 14th, the leading fast casual brand will open a beautiful open kitchen restaurant located in Guelph (30 Clair Road West). To celebrate the opening of the company’s newest locally-owned and operated Guelph restaurant, anyone who visits Blaze’s new location on Friday, February 15th from 11:00 a.m. to 10:00 p.m. and follows the brand on Instagram, Twitter, or Facebook will receive a FREE build your own pizza! Don’t forget to grab a freshly-made salad, iconic blood orange lemonade, or s’more pie dessert on your way out. Blaze’s obsessive attention to detail extends well beyond the food. Driven by its commitment to “Intelligent Choices for Our Pizzas, People & Planet,” the Guelph restaurant is constructed with recycled and sustainable materials, uses eco-friendly packaging, and features energy-efficient LED lighting. The restaurants stylized design was inspired by our celebration of unconventional thinking and individuality. 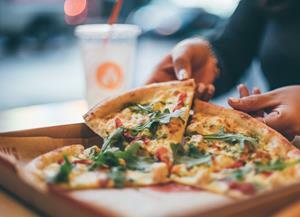 Blaze Pizza is looking forward to building strong roots within the Guelph community. The local restaurant has developed a turn-key in-restaurant fundraiser program that returns 20% of an event’s proceeds back to local organizations, and will be partnering with local schools, sports clubs and other organizations to host fundraising events. The Guelph restaurant will also create 50 jobs locally.